EGC's custom designed Environmental Control System (ECoSys) software is the foundation for our latest line of controls offerings. With 50+ years of control experience, EGC engineers have designed high performance and user friendly controls solutions to meet demands of the scientific communities. The C6 Control System is a programmable logic controller (PLC) based industrial controller with a color touch-screen user interface. 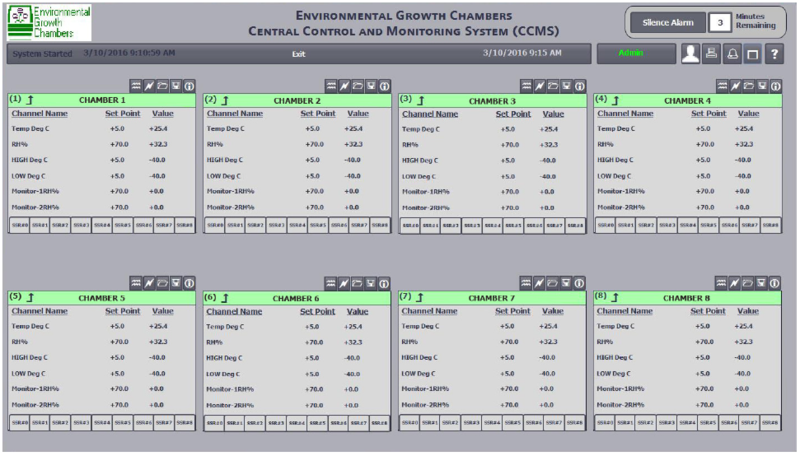 When used with EGC's ECoSys (Environmental Control System) software, it provides an easy to use, intuitive system for environmental chamber control. 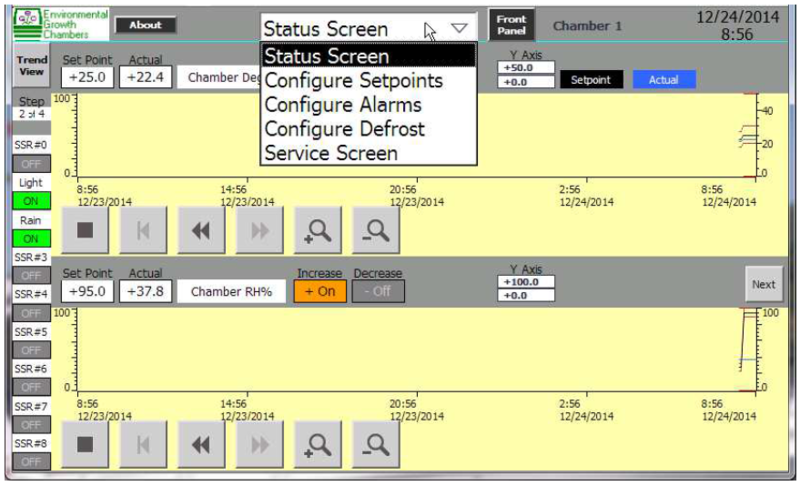 In addition to providing a simple interface for chamber operations, available C6 System options provide capability to network multiple chambers for single point monitoring, programming, reporting and remote access. Additionally, remote access and control is made simple. EGC's Central Control and Monitoring System (CCMS) allows for single point access and control of multiple C6 controllers networked together. In addition, this software includes independent logging and alarming and can be configured to send chamber alarm conditions via e-mail and/or SMS. For further details and specifications follow the links below or contact us at EGC.